5 Bedroom Detached House For Sale in Milton Keynes for £575,000. Set in the popular location of LOUGHTON and within walking distance of CENTRAL MILTON KEYNES STATION is this beautifully presented five bedroom detached home. Positioned in a Cul-de-sac and close to the Equestrian Centre this property is in a perfect location for CentreMK shopping as well as benefitting from great school catchment. With local walks to Teardrop and Lodge Lakes and with five fantastic bedroom sizes this property will make for a wonderful family home. 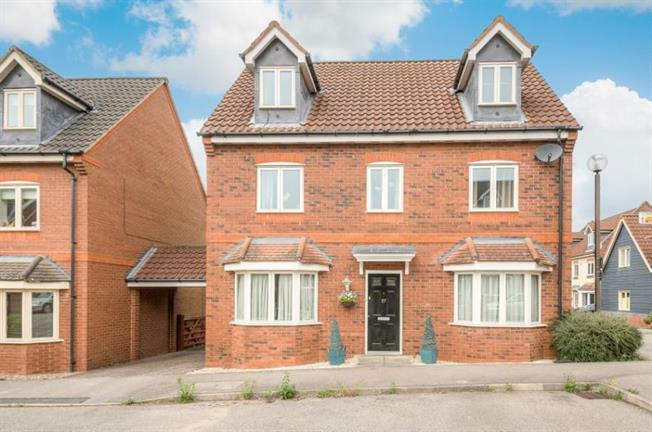 The accommodation in brief comprises: Entrance Hall, Dining Room, Lounge, Downstairs Cloakroom, Master bedroom With En Suite, Four further Bedrooms, Family bathroom, Rear Garden, Driveway for Three Vehicles, single Garage. Call Taylors Executive Homes now to book your viewing and avoid disappointment.